On Tuesday Chris Ferguson and the US Department of Justice (DOJ) came to a tentative agreement to settle his civil case stemming from the indictments handed down on Black Friday and in its aftermath. The agreement still needs to be approved by federal Judge Kimba H. Wood, who received the terms of settlement on Tuesday and must now decide whether to sign-off on it. Ferguson’s name was added to the civil complaints a couple of months after Black Friday. Like Furst and Lederer before him, Ferguson’s settlement is adamant in that he admits no wrongdoing, and will forfeit any future claim to Full Tilt Poker assets as well as some $14 million in dividend payments Ferguson never received from the site. Ferguson has also agreed to not take on any role with an online gaming company, unless online poker is fully regulated in the United States on a federal level. Bear in mind that the settlement is not official at this point, but considering the precedent of Furst and Lederer, it’s highly likely that the DOJ will accept the Ferguson settlement agreement. Ferguson’s settlement leaves only Ray Bitar’s fate yet to be decided. Bitar is facing a much different set of circumstances than Ferguson, Lederer, and Furst, who faced only civil charges; Bitar is facing both civil and criminal charges and will likely face some amount of jail time when he finally has his day in court –Bitar is currently under house arrest in California after surrendering last year virtually at the exact same time that the deal between PokerStars and the DOJ that saw the site take over Full Tilt Poker’s assets, and insuring players would receive their FTP money . At this point only US players are awaiting payment, which is being facilitated by the US DOJ. 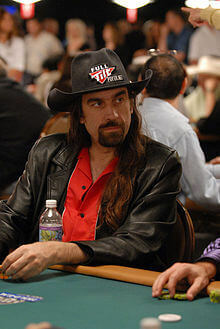 The poker world is still crying for blood from the former Full Tilt Poker owners (and it appears they will only get their pound of flesh from Bitar) and Howard Lederer has met with an icy reception following his return to the poker tables around Las Vegas. It will be interesting to see how the poker world treats Ferguson, who unlike Lederer has remained silent and out of the public eye since Black Friday.